Home Treatment Tooth Decay Treatment: What Are the Options? Tooth Decay Treatment: What Are the Options? If a tooth is already damaged by bacteria, a tooth decay treatment is needed. Without treatment, the decay progresses continuously. Also, bacteria can spread to the tooth nerve and surrounding tissues, causing severe inflammation and pain. the sooner tooth decay is detected and treated, the better the prognosis. In the early stage, tooth decay appears as white spots on the tooth surface. However, the tooth enamel stills intact. In this stage, a professional fluoride treatment will reverse the tooth decay (remineralization). The dentist uses fluoride in the form of foam, liquid, varnish, or gel. Then, he/she applies it to teeth using a brush or a dental tray. Also, you should improve your oral hygiene and eating habits. People who eat a lot of sugary foods (sweets, ice cream, and pudding) or consume drinks high in sugar (soft drinks and juices) are at high risk for tooth decay. If you can’t brush your teeth after meals, you should chew sugar-free gum to positively influence the oral pH and stimulate salivation. Dentists recommend brushing your teeth after each meal. Note: wait at least 30 minutes after eating before you brush your teeth. Also, the toothpaste should contain fluoride. Because fluoride fights bacteria and supports the remineralization process of teeth. Amalgam fillings: dentists use amalgam fillings for more than a century. Amalgam fillings are strong, the least expensive, and suitable for posterior teeth. However, they are unaesthetic, so they are not suitable for anterior teeth. Composite fillings: they match the color of natural teeth. Therefore, they are a popular choice. Glass ionomer fillings: they are less durable than other tooth fillings. They are suitable for tooth decay treatment in children’s teeth (milk teeth) and tooth necks. Gold fillings: they are very durable and can last for more than 15 years. However, they are expensive and unaesthetic. Ceramic fillings: they are aesthetic (tooth colored) and more resistant to staining in comparison with composite fillings. However, they can be as expensive as gold fillings. When the decay reaches the tooth nerve (pulp), you may need a root canal treatment (RCT) to save the tooth. First, the dentist will open the tooth under local anesthesia. 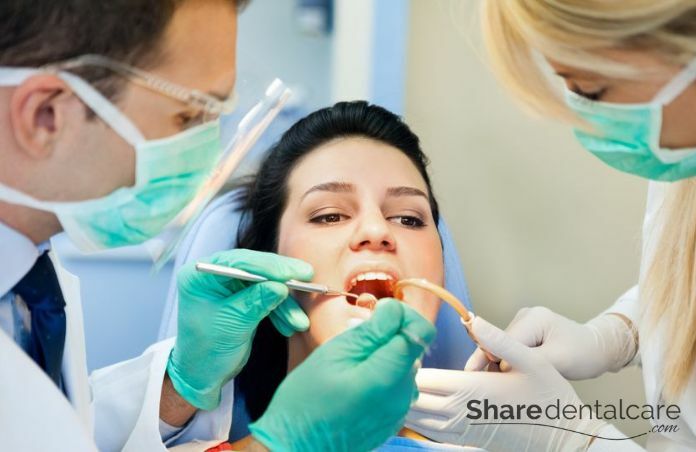 Then, he/she will remove infected or necrotic nerve tissues, clean root canals with dental files and seal root canals with a filling material (gutta percha). Root canal treatment may require more than one visit to the dental office. Porcelain fused to metal crowns (PFM). If the tooth is severely decayed and can’t be restored by the other tooth decay treatment options, it must be extracted. The dentist may recommend a dental bridge or implant after the tooth extraction to replace the missing tooth. Implant or Bridge: Which One Is Right for You?